The Community Services Department provides quality recreation activities, which reflect the interest, needs, and demographics of the residents of Chino Hills. 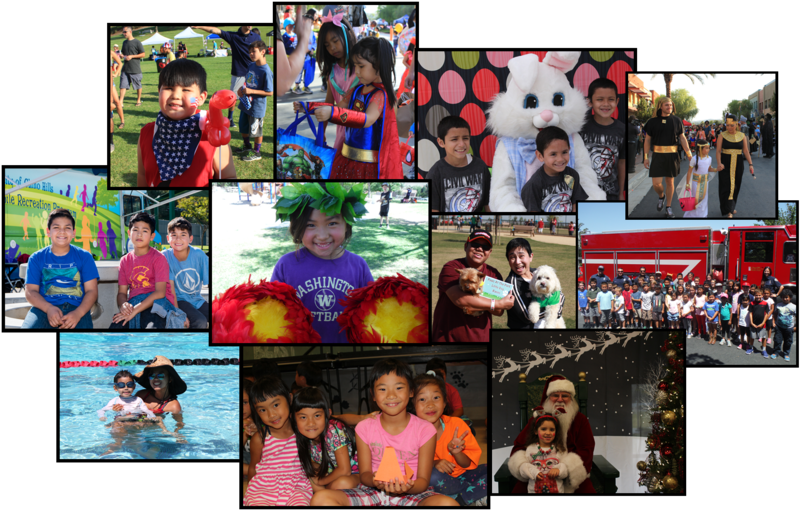 Recreation programs enhance the quality of life in the City, build a sense of community, expose children to positive role models, improve self-esteem, and contribute to the health and safety of the Chino Hills community. How can I register for a Recreation class? How do I register online for classes? How can I rent a Park Gazebo? How can I sign my child up for a sports league? Does the City of Chino Hills have facilities available to rent for special occasions? Where is the Community Services Offices located?